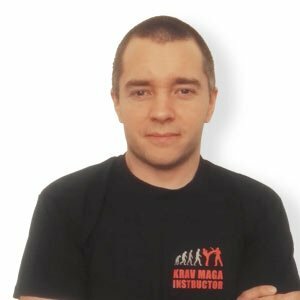 I started Krav Maga back in 2011 with Cyril Allacchi in Paris. I wanted to learn and do something that was useful, to be able to get out of a dangerous situation safe and sound. My first lesson was getting out of strangulation, that’s when I discovered that I like Krav Maga. There’s no beating around the bush, just proven efficiency, it’s challenging and fun at the same time. During the following years I met some other great people (Magali Rorato, Quentin Lacotte and many others even abroad) who led me and encouraged me to pass my CIC in 2017. These same people were there for my CIC, along with my other fellow CIC colleagues. I’m thrilled to be one of the first French KRAVolution Instructors and there are more to come.